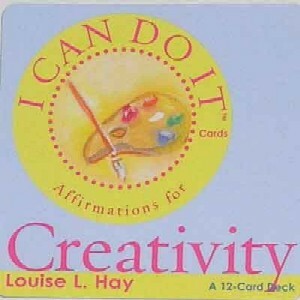 Louise Hay wrote these cards as a way to help you be creative in every part of your life! Webster’s dictionary says that creation is “all the world and everything in it.” Since you’re part of this magnificent Universe, you’re already a creative being. Where we get confused is in thinking that only painters or musicians or writers are creative. You are your own unique self: special, creative, and wonderful. The key to creativity is knowing that your thinking creates your experience. One of the cards, for example, says: Ideas come to me easily and effortlessly. 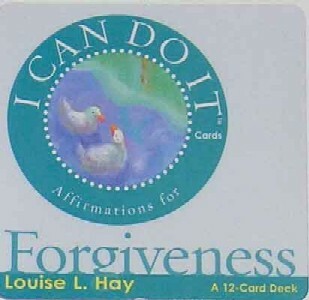 Louise Hay wrote these cards as a way to help you create forgiveness in your everyday life! Forgiveness means releasing regret, sadness, hurt, fear, guilt, blame, resentment, and sometimes even the desire for revenge. How do you start? By being willing to let go of the past. Be willing to release your emotional attachment to your memories of yesterday. The past is over and this is a new day. 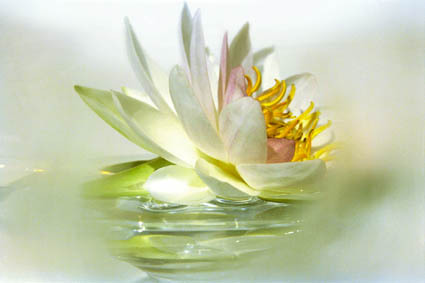 One of the cards, for example, says:I forgive everyone in my past for all perceived wrongs. I release them with love. You can set yourself free by changing your thinking. The more you forgive, the more love you will have to express. It is no fun being a victim. Refuse to be helpless anymore. Claim your own power! Choose a card each morning, and it will be your positive message for the day. 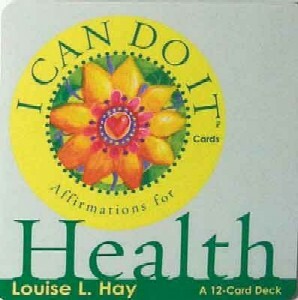 Louise Hay wrote these cards as a way to help you create good health in every part of your mind and body! When you take care of yourself in the best way you can, you radiate beauty and happiness…and the world responds in an appreciative way. Good health comes from within, and it’s a reflection of the thoughts you think and the words you speak. When you combine uplifting inner dialogue with good nutrition and regular exercise, you create all the tools you need to be healthy…from head to toe! One of the cards, for example, says: I lovingly do everything I can to assist my body in maintaining perfect health. 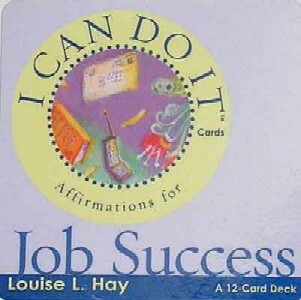 Louise Hay wrote these cards as a way to help you create job success in your life! What does job success mean to you? More money? A loving, nurturing environment where your talents are recognized and used to their fullest? Mastering a new skill? All of this can be a reality for you. The key is to practice success, and stop practicing failure. One of the cards, for example, says:Limitations are merely opportunities to grow. I use them as stepping-stones to success. When children are first learning to walk or talk, everyone encourages them to keep trying, and they’re praised for every tiny improvement. Are you doing the same for yourself? Remember, like those small children, we learn from every experience. We go from success to success and from glory to glory. 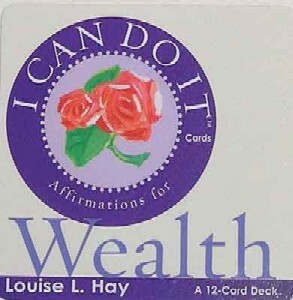 Louise Hay wrote these cards as a way to help you create wealth in every part of your life! Her favorite affirmation is: “I am open and receptive to all the good and abundance in the Universe.” Wealth can mean more money in your life, but it can also mean dear friends, good health, a happy home, and delicious food on the table. Abundance can come in many forms when you allow the Universe to shower its gifts upon you. Use these cards to shake up your concepts about money. Throw away all doubts, and accept that new channels of wealth are opening for you now. One of the powerful affirmation cards, for example, says: Today is a delightful day. Money comes to me in expected and unexpected ways.